Several years back I was gifted by my sister’s former pastor with a copy of Lee Strobel’s The Case for Christ. In the book, Strobel claims to be performing a “journalist’s investigation” into the origins of Christianity. The structure of Strobel’s book is to interview a number of scholars, whom Strobel identifies as authorities, on topics pertaining to the origins of Christianity. And what are the implications of such a doctrinal statement? This statement was a major concern to me. To begin with, I am a doctoral student in Classics, whose research focuses on the history, literature, and languages of the Roman Empire during the 1st-2nd centuries CE. Scholars in Classics study a wide range of ancient texts and historical issues–pertaining to the same historical time period that Strobel was investigating. And yet, I am not aware of any Classics department with a doctrinal statement affirming the “inerrancy” or “final authority” of any other ancient texts. Nor do I, or any any other Classicists that I am aware of, have to affirm and sign a similar doctrinal statement each year pertaining to Classical texts. Instead, in the ordinary study of ancient history, scholars treat the biblical scriptures no differently than any other texts that we might study, whether it be Homer’s Iliad or Tacitus’ Annals. There is no special doctrinal concern for religious texts like the Bible. Second, Strobel presented this interview as if it were an objective investigation. However, had Strobel gone to a secular university–such as the University of North Carolina at Chapel Hill–he could have easily found scholars who disagreed with Blomberg about the historical reliability of the Gospels–such as NT scholar Bart Ehrman, who is the author of Jesus, Interrupted: Revealing the Hidden Contradictions in the Bible. From my own research in ancient history, I was well aware of the fact that there are many other scholarly authorities, outside of faith-based seminaries and universities, who would strongly disagree with the Christian scholars whom Strobel was interviewing in his book. Can such an institution study ancient sources objectively and critically? What are the implications for biology? What are the implications for anthropology? What are the implications for political science? Can such an institution treat alternative views with respect? You tell me: does this sound like fact or something out of ancient mythology? Doctrinal commitments like these are unlike anything that I have seen in mainstream, secular academic scholarship. First, it should be noted that degrees in nursing, accounting, and other professional occupations are also offered at faith-based universities, of which I have no reason to doubt their competency. Academic work in Biblical Studies, history, and philosophy are different, however, as these fields can and are contaminated by apologetic agendas attempting to use such disciplines to defend partisan religious beliefs. When books like The Historical Reliability of the Gospels are put side-by-side with other publications in Biblical Studies, it is important to know that such publications are coming from theologically-biased institutions. Second, I do not mean to criticize everybody who has attended or worked at faith-based institutions. Some of the greatest scholars that I have read originally studied at faith-based institutions, such as Bart Ehrman and Dennis MacDonald. Only after they entered into mainstream Biblical Studies, however, did they begin to work more objectively in the field. Third, not all Christian seminaries and universities–particularly more mild Protestant and Catholic institutions–have the same doctrinal commitments as those listed above. In fact, I myself took an ancient Hebrew course at the Catholic Pontifical University of the Holy Cross last summer (few secular universities offer summer courses in Hebrew), which was a far more moderate and critical institution. So, while I tend to oppose any university having a religious affiliation (I personally believe that all of higher education should be secular), it should be noted that doctrinal interests influence some more than others. “It’s a dangerous time to be a progressive thinker in an Evangelical institution these days. Within the span of a week, two professors have announced (or explained) their upcoming departures from the institutions they have served. Thomas Oord is a highly accomplished theologian and professor at Northwest Nazarene University in Nampa, Idaho. He has an extensive C.V. of publications, awards, and grant procurements. His relationship with NNU was initially terminated by the previous president of that institution (who has himself since resigned under pressure), but the termination was ultimately upheld by the trustee board (they have offered to keep him on as a part-professor for three years and will pay him full-time next year). For a detailed summary of Oord’s situation go here. For Oord’s public response to the announcement by the trustees, go here. Then yesterday, J.R. Daniel Kirk, a professor of New Testament at Fuller Seminary and a prolific young scholar, accomplished both in academic research and in social media (blogging, podcasting, etc.) announced on his blog his upcoming separation from Fuller. In his case, it seems to be a result of direct pressure from his faculty colleagues who have let him know that he is not welcome at Fuller Seminary and who have warned him that his upcoming application for tenure would be denied. Next year will be his final year teaching at Fuller. “[I] live about 10 miles down the road from Cedarville University … [R]ecently, Cedarville has made the news by firing faculty whom the president, acting as a grand inquisitor, deemed to have strayed from the faith. The AAUP censured Cedarville in 2009 for violations of academic freedom. Unchastened, administration at Cedarville have fired more faculty since and the doctrinal debate that resulted in those firings continues to roil the campus. To see these episodes–and plenty of others at places like Wheaton College not too long ago–as threats to academic freedom, however, rather misses the point. Academic freedom isn’t being restricted at Bryan and Cedarville and Wheaton and plenty of other Christian colleges, because none of those places acknowledges academic freedom as the core principle of higher education in the first place. I could list more example than just these, but I think it is pretty clear that academic freedom is being restricted at many faith-based institutions, and the kind of theological and intellectual restriction that is occurring is atypical of the scholarly research that takes place at secular institutions. Second, many of these institutions even offer degrees in “Christian apologetics,” as if that were objective academic discipline. For example, see Biola University’s M.A. program in “Christian Apologetics.” Please point me towards a secular university where I can get a degree in “Religious Skepticism,” because I would love to see such a thing. What’s further egregious is that these programs are even sometimes accredited! Academic accreditation has no business sanctioning a degree that is specifically concerned with the exclusive rationalization of a specific religious worldview. Such a program, in my opinion, has no greater grounds for accreditation than the Metaphysics Institute. Third, I do not think that scholarship at such faith-based universities should be taken as authoritative. That does not mean that faculty at such universities never have academic credentials. For example, Craig Blomberg got his Ph.D. at the University of Aberdeen, Scotland, and Gary Habermas got his Ph.D. at Michigan State University. However, the faculty appointments that these Christian scholars hold, and the doctrinal commitments that they are required to sign, are atypical of ordinary academia. One thing that I can say, as someone preparing for a career in higher education, is that faculty appointments are scarce. Not only is the job market competitive, but there also has to be money for hiring a new position. When there are several of these faith-based universities across the country, however, it makes more appointments available to Christian scholars who are interested in defending the Bible. The result is that it inflates the amount of apologetics research that is done in academia. If the same scholars were to apply solely to secular institutions and to publish solely with secular academic publishers, I think that it would be harder for many of them to do the same kind of apologetics work that they are doing at faith-based universities and with Christian publishers. My own view is that faith-based universities should not receive academic accreditation. They simply do not serve the same goals of open-ended, critical, and objective research that secular institutions abide by. Instead, the religious and theological agendas that these institutions serve are far more akin to partisan think tanks. While think tanks can provide critical and researched publications, their main emphasis is towards predetermined, doctrinal, and partisan advocacy. Think tanks should not be accredited degree-granting institutions. For this reason, I do not treat scholarship at faith-based universities as authoritative. That does not mean that I am not willing to read and engage their arguments, but they should not carry weight when apologists make appeals to authority. When someone gives a copy of The Case for Christ to a layman, therefore, I do not think that he or she needs to take the book very seriously. Even if you are not an expert in the New Testament, history, or philosophy, you do not need to have background in these areas to dismiss the faith-based scholarship in a book like the The Case for Christ. It represents the views primarily of theologically-biased institutions that do not reflect the objectivity of mainstream academia. 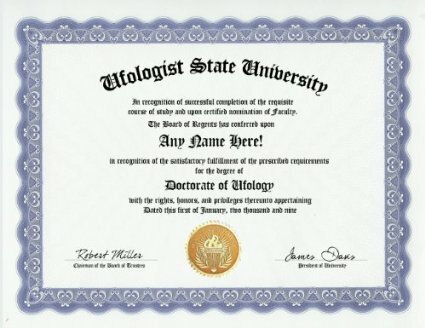 I have likewise designed this blog as a resource to discuss the views of secular scholars in mainstream academia, so that readers can become more familiar with what experts have to say on issues of science, philosophy, and history outside of faith-based universities. This entry was posted in Higher Education and tagged Apologetics, Bias of Christian Apologists, Biola University, Christian Universities, Craig Blomberg, Denver Seminary, Evangelical Scholarship, Evangelical Seminaries, Faith-Based Universities, Gary Habermas, Gary Habermas' Survey, Mike Licona, William Craig. Bookmark the permalink. 2 Responses to Faith-Based “Universities”: Degree-Granting Think Tanks? An excellent complementary article to this one just came out in the Huffington Post, titled “Is ‘Christian College’ an Oxymoron?” written by Steven Conn, a professor at Ohio State. The article shares many similar observations about doctrinal statements and contracts limiting the conclusions that faculty can draw in their publications. The article also discusses how academic freedom is often restricted at faith-based universities. I’ve since incorporated some of Conn’s observations into the post above. “Wheaton College has suspended tenured political science professor Larycia Hawkins after she penned an essay on Facebook showing her solidarity with the Muslim community, according to a statement posted to the school’s website yesterday. “I stand in religious solidarity with Muslims because they, like me, a Christian, are people of the book. And as Pope Francis stated last week, we worship the same God,” Hawkins wrote. The private, evangelical college noted that its decision to suspend Hawkins stemmed from the direct comparison of Christianity to Islam.